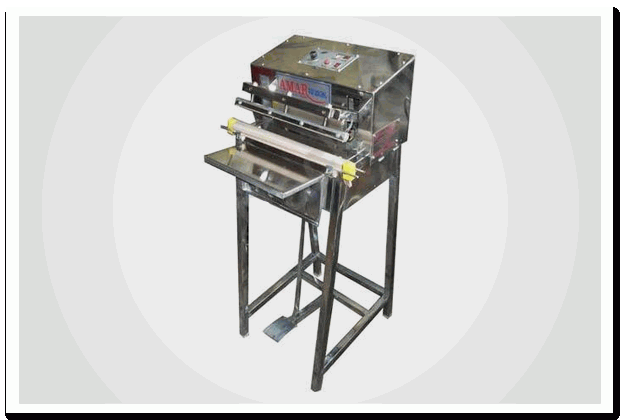 Foot Impulse Sealers|automatic shrinking machines|manufacturers and suppliers in Mumbai,India. Supplier & Manufacturer of Foot Impulse Sealers. Our product range also comprises of Heat Shrink Tunnel Machine, Shrink Tunnel Machine and Shrink Tunnel Heavy Duty. Foot Impulse Sealer fully SS-304 suitable for 1/2kg to 25 kg.pouch high Quality of Sealing. Accurate sealing of pouch packing machine like tea, confectionery, wafers, snacks, powder. Very fast production and low maintenance.LD, PP, BOPP all the pouch you can seal it.